The Honda Odyssey is just waiting to take you on your next great adventure. With enough room for friends, family, and then some, you’ll have enough space to take everything you need with you, whether you’re heading out on your next road trip or simply making a stop at the park. With modern styling and a myriad of features, the Odyssey is accessible and fun to drive. 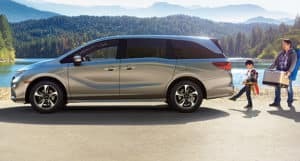 Stop by your local Fort Collins Honda retailer to see the spacious Honda Odyssey for yourself or brush up on its features below. Who says that driving a minivan has to be boring? The Honda Odyssey has an engine that leaves nothing to be desired. The 280-horsepower, 3.5-liter V-6 standard engine is available with a nine-speed or ten-speed automatic transmission. That means you can get where you need to go in no time. That reliable power translates into a smooth steering experience. 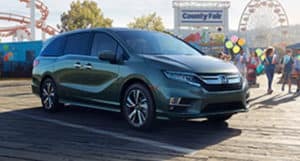 Navigate even the tightest of turns with ease and cruise comfortably down the highway, all while maintaining control over the Odyssey. When it comes to cargo space, the minivan is king, and that holds true with the Honda Odyssey. Make use of the power tailgate and sliding side doors and take a look at the massive amount of space in the back of the Odyssey. With up to 158 cubic feet of cargo space, you’ve got enough room to haul everything and the kitchen sink while still enjoying a comfortable ride. But you can store more than big stuff in the Odyssey. With numerous spots for drinks, snacks, and other essentials, you’ll always have what you need near at hand. There’s no shortage of seating in the Honda Odyssey. With seating for up to seven, the Odyssey is a prime people mover. If you’re not bringing the full complement of friends and family along with you, take advantage of the Odyssey’s modular seating. The third-row seats can be folded flat for extra space, and the second-row seats can be removed entirely. Plus, the second-row seats can slide left and right for quick access to the third row. With plenty of legroom, you’ll never have complaints about someone getting the back of their seat kicked. Cabin Watch and Cabin Talk means you can keep in touch with your passengers even in the back row so you’ll always know when it’s time for a pit stop or when to pass the snacks back. An available rear entertainment system makes it easy to keep friends and family occupied while spending miles on the road. Up front, you’ll find an 8-inch display audio touch screen. Connect it to your smartphone through Apple CarPlay or Android Auto for a capable infotainment center that makes use of all of your favorite music and navigation apps. Plus, you can keep your devices charged and ready to go with the available wireless charging tray. 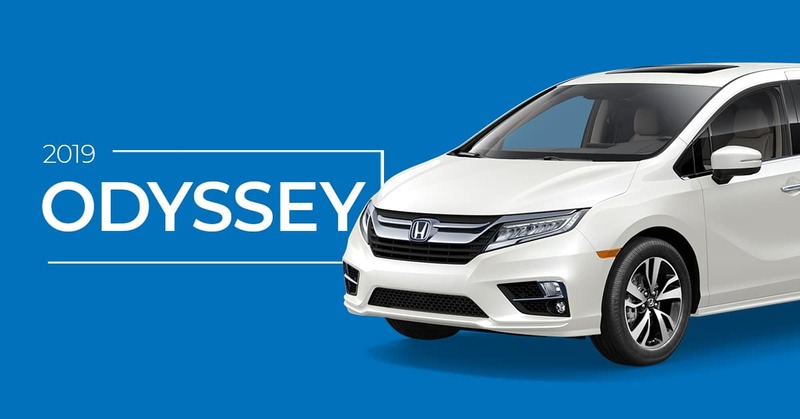 For unrivaled reliability and comfort, there are few better choices than the Honda Odyssey. Navigate your way through the crisscrossing streets of Greeley, or take the family for an afternoon in downtown Longmont and do so in style and luxury. We want to get you behind the wheel of the perfect Odyssey for you, so Markley Honda in Fort Collins offers great financing options in addition to our dedicated service department. 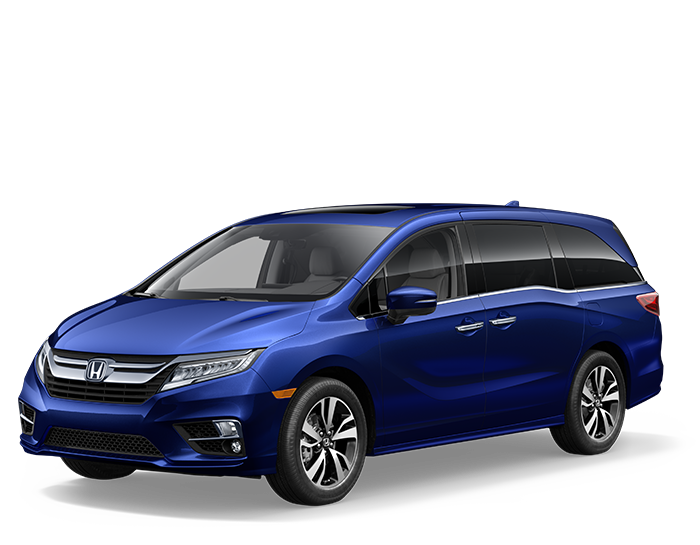 With an on-site auto body and glass shop, it’s simple to maintain your new Honda Odyssey. Contact our sales consultants today to inquire into pricing and availability.